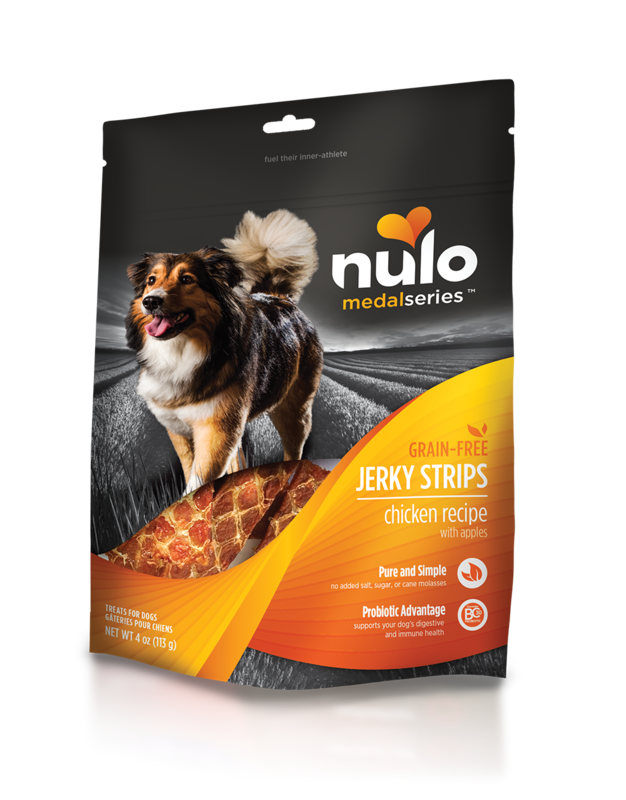 Whether you’re training, walking the trail, or taking your pup to the gym with you – bring along these Jerky Strips to reward your good Nulo pup! Our Chicken Jerky Strips have apple inclusions and the patented probiotic GanedenBC30 to provide your pup with functional nutrition and digestive support. MedalSeries Jerky Strips Chicken Recipe with Apples are intended for intermittent or supplemental feeding only.